The first ever archaeological excavations of the Late Antiquity fortress “Kaleto” near the central Bulgarian town of Banya, Panagyurishte Municipality, Plovdiv District, have been wrapped up helpting the archaeologists confirm the hypothesis that it was built in order to protect the Balkan provinces of the Later Roman Empire from barbarian invasions from the north. The excavations of the Late Antiquity, Late Roman and Early Byzantine fortress have been led by Assoc. Prof. Valeri Grigorov from the National Institute and Museum of Archaeology of the Bulgarian Academy of Sciences, with Lyubka Todorova, archaeologist from the Pazardzhik Regional Museum of History, Georgi Abdulov, former Director of the Panagyurishte Museum of History, and Vasil Katsarov, curator at the same museum. The archaeological team has discovered a large amount of weapon artifacts and ceramic vessels. Historians and archaeologists think that the fortress Kaleto near Banya (“kale” is a Turkish word meaning “fortress” left over from the Ottoman period commonly used for the numerous ruins of ancient and medieval fortresses all over Bulgaria whose proper names are sometimes unknown) was originally an Ancient Thracian settlement. 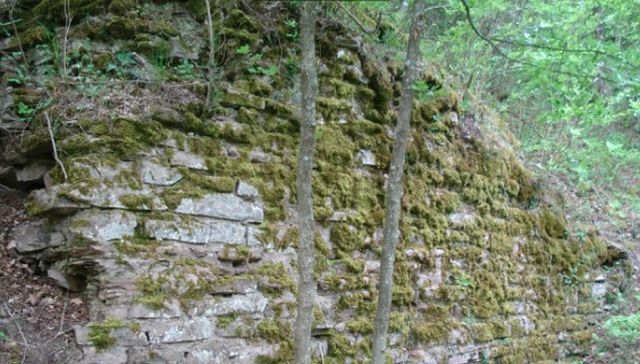 The first stone masonry on the site and the construction of the fortress wall date to the 4th century AD, and there are indications that it was destroyed during the barbarian invasion of the Huns in the 5th century AD. After that, the fortress near Banya was rebuilt, but in the 12th century AD it fell prey to an invasion once again – this time it was destroyed by the crusader knights from the Third Crusade (1189-1192 AD). 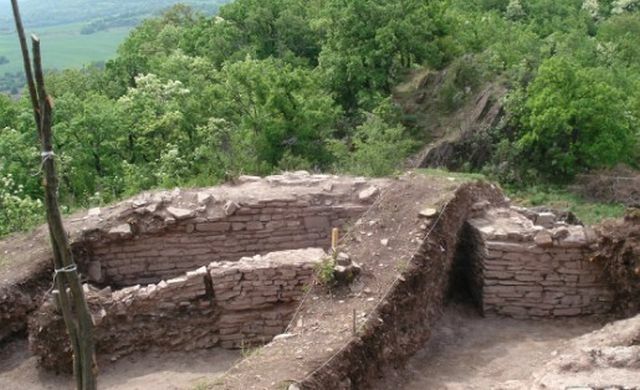 The Kaleto fortress near Banya was important in ancient and medieval times because of its strategic location between the Valley of Zlatitsa and Pirdop, and the Upper Thracian Plain (in today’s Southern Bulgaria). The initial partial excavation of the Kaleto Fortress near Banya is funded with BGN 15,000 (app. EUR 7,600) of EU funding under Operational Program “Rural Development”. 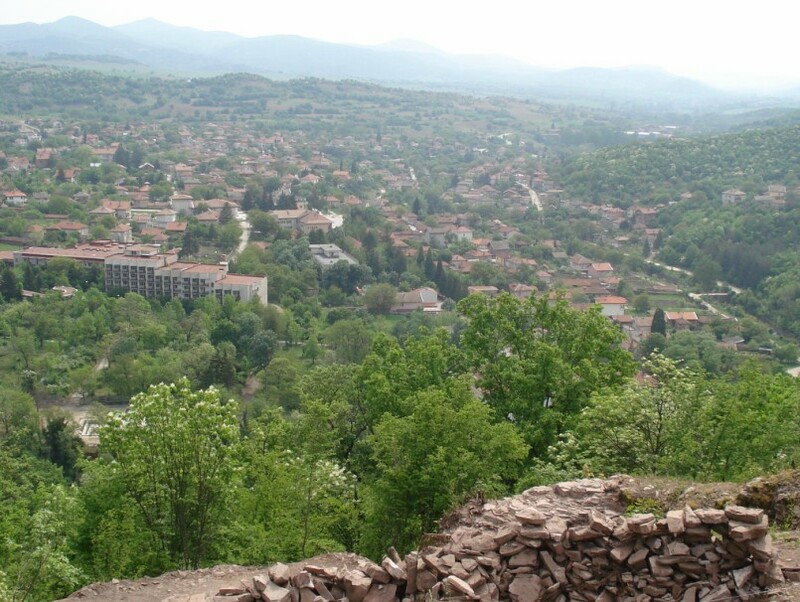 The Late Antiquity and Early Byzantine fortress known as Kaleto is located near the central Bulgarian town of Banya, Panagyurishte Municipality, Plovdiv District. The archaeological excavations of the Kaleto Fortress near Banya (“kale” is a Turkish word meaning “fortress” left over from the Ottoman period commonly used for the numerous ruins of ancient and medieval fortresses all over Bulgaria, whose proper names are sometimes unknown) were held for the first time in April-May 2015.